I talked a lot of trash about Assassin's Creed: Unity this year. On release it was buggy and broken, sure, but it also just wasn't much fun. Protagonist Arno was just a bland retread of series-favorite Ezio, the story managed to make even the French Revolution feel sort of boring, the overhauled free-running was too sticky and cumbersome, and I just overall felt it lacked the panache of the previous year's Assassin's Creed IV: Black Flag. Most of what's left is the legendary ship battles. 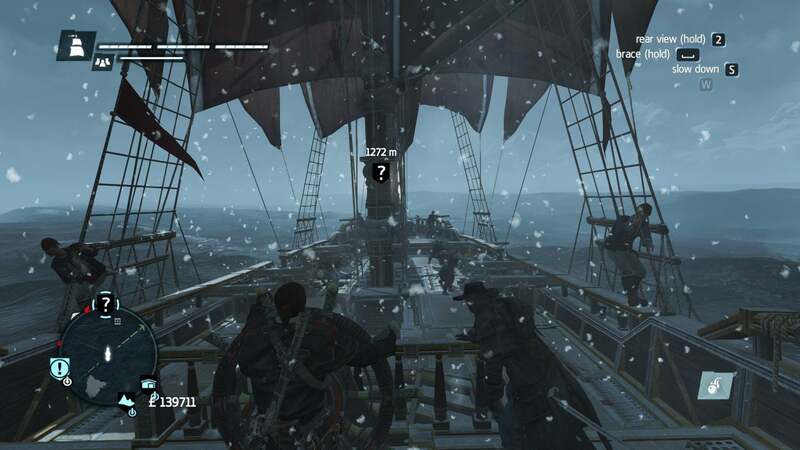 Assassin's Creed Rogue is the best Assassin's Creed game that you're probably never going to play. This is basically the second time Ubisoft has done this. With the exception of the first game, Ubisoft seems to want to position the Assassin's Creed series as a chain of trilogies. 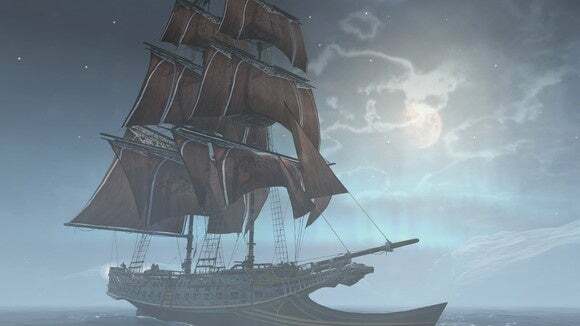 We had the Assassin's Creed II/Brotherhood/Revelations arc, wherein the first game was good, the second was great, and then Revelations was basically an inessential coda for long-time fans to say farewell to Ezio. Well Rogue is the Revelations of the Assassin's Creed III era. In other words, it takes the best parts of Assassin's Creed III (which isn't much) and mashes it up with the best parts of Black Flag. In other, other words, it's Black Flag 1.5. And I loved Black Flag, so that's fine with me. The story takes place during the Seven Years War/French and Indian War, which spanned from 1754-1763. 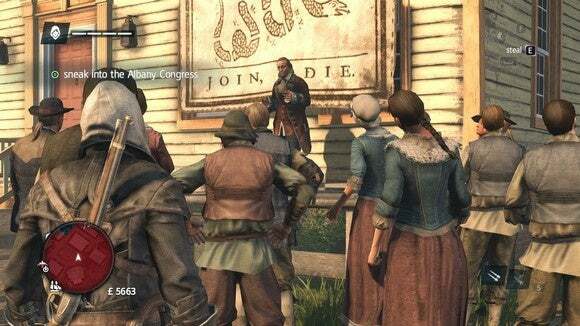 That puts Rogue right between Black Flag's piracy and ACIII's American Revolution. 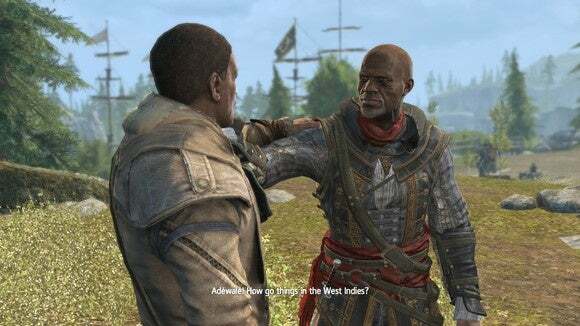 Rogue takes advantage of this by pulling in characters from both of the previous games, giving some closure to Black Flag characters like Adewale and some backstory to ACIII characters like Achilles and Haytham Kenway. It's a fascinating structure, although it's hampered by the fact that...well, Assassin's Creed III wasn't that good. It's somewhat hard to care about the backstory of characters you didn't necessarily care about to begin with. Still, it's oddly heartwarming to see some familiar faces in a series that seems content with ditching its entire cast every year. Over the course of the game you're hit with cameo after cameo from an extensive B-tier cast that plays foil to the new protagonist, Shay Patrick Cormac. I don't know why Cormac's story was wasted on Rogue. Here's a guy who was brought up in the Assassins, turned traitor, and went to work for the Templars killing off his old friends. That's a hell of a set-up, shedding more light on the relationship between the two factions than possibly any game in the series thus far and providing all sorts of opportunities for moral ambiguity. It's certainly more interesting than Unity's story. And yet it's given short shrift in Rogue, as a "budget" title. 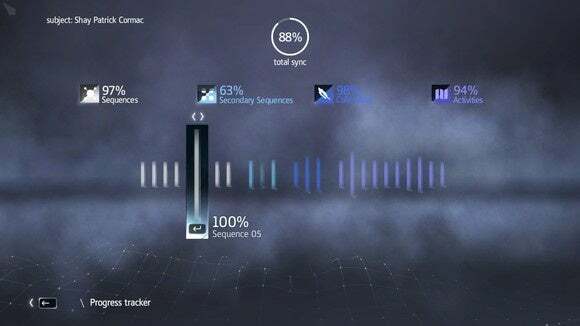 Rather than the dozen or so chapters of a normal Assassin's Creed game, Cormac is given a scant six chapters of story to cover both his upbringing in the Assassins, his turn, and then the whole rest of the game. It's too fast. Cormac isn't given nearly enough character development to handle all that weight, nor are the other characters given enough time for you to learn to care about them. It's probably good that you'll recognize most of the characters from previous Assassin's Creed games because otherwise they'd just be nameless caricatures. Adewale, for instance, has probably two dozen lines in the entire game. That's not enough to do anything meaningful. I'm left with the impression that Rogue is the most ambitious Assassin's Creed story—in terms of character, in terms of information on the two factions, in terms of First Civilization lore—but it just never clicks. 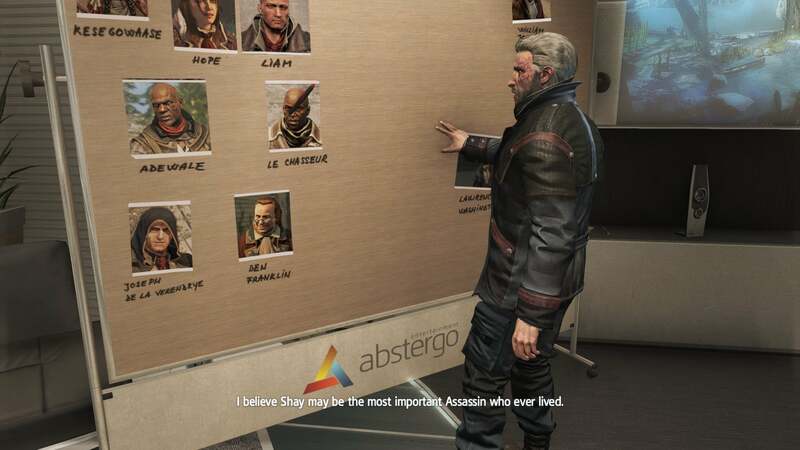 There's a guy working for Abstergo Industries in the modern-day part of the game who continually tells you that Shay Cormac is "the most important Assassin to ever live" or something along those lines, but at the end of the day...why? Because he killed some other Assassins? I don't know. I just don't buy it, and that's a shame because I think in a full-fledged game Cormac could be that important. He just got screwed by playing B-side to Unity this year. On the other hand, it plays like Black Flag: sail your ship around, listen to pirate shanties, discover little coastal towns, dig for treasure, beat people up in bars, blow up other ships. Rather than one large Caribbean map, the sailing section of the game is now split between the River Valley (a part of New York that looks strangely like a retextured Caribbean) and the North Atlantic up by Halifax (which also looks strangely similar to the Caribbean, albeit with snow and icebergs). There's also a third, fairly large New York City/Manhattan map repurposed from Assassin's Creed III. This map plays more like traditional Assassin's Creed, with you running around and unlocking zones. It's also the most boring of the areas, because there's surprisingly little character to such a large city area. And the game seems aware of this, rarely bringing you back to Manhattan. In fact, the game is generally terrible about making you explore. Because the story is so condensed, missions only touch on a handful of locations. Your only impetus to go and discover the rest of the map is "I want to." And I mean, I did want to. I went to every location. I collected 100 percent of all the collectibles, because I really love sailing around. But Rogue never feels as tight or well-designed as Black Flag. There's a lot of space here, between the three maps, and very little reason to engage with any of it. Play Rogue if you want more Black Flag. 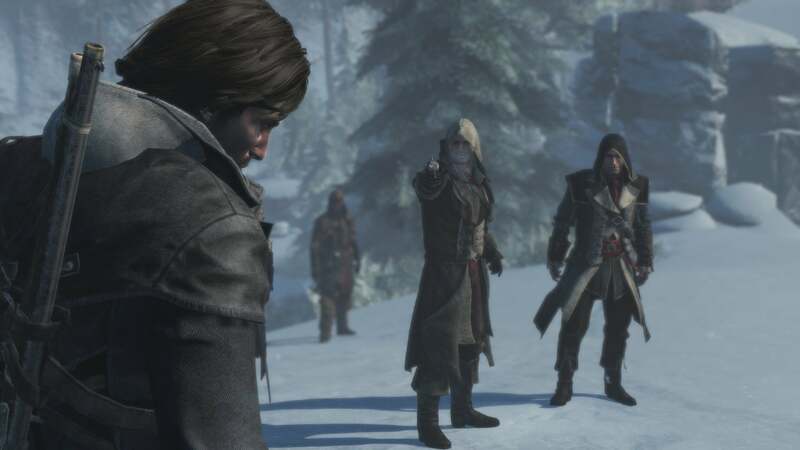 Play Rogue if you want to learn about the complex relationship between the Assassins and Templars. Play Rogue if you hated Unity and want a better Assassin's Creed experience this year. Those are the three cases I can think of where you might end up playing this game. Is it essential? Absolutely not. But there's a decent game here, and my only real regret is you can tell there's the potential for a much better game if only the developers were given more to work with.